The Dorze people are well-known by their cotton weavers and whose tall beehive-shaped or like Elephant doweling are among the most distinctive traditional structures can not to be seen anywhere in Africa. 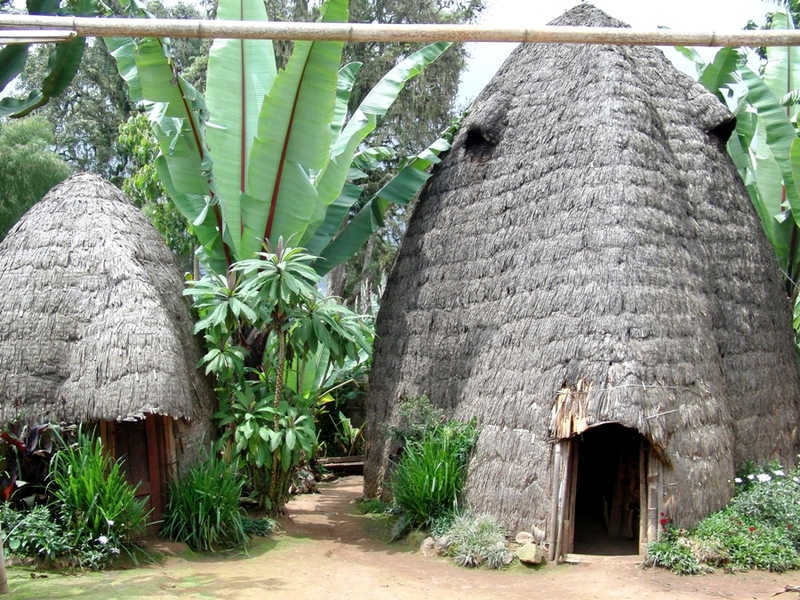 The unique Dorze houses, that make Chencha worth for diversion and the remarkable extended domes measure up to 6-8meters tall, are constructed entirely from bamboo cover up by false banana leaves. They have also beautiful garden with the false banana tree (Enset) which is staple food in major south and southwest highland people. Scraping the stem of this tree they prepare fermented bread called kocho. Your guide will assist you showing the process. Here you will have also a panoramic view over the two rift valley Lakes Abaya and Chamo.